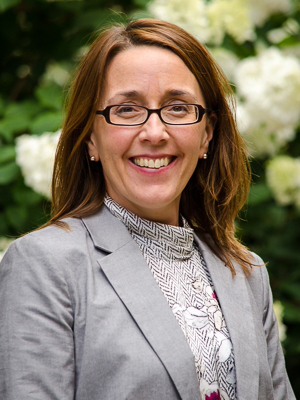 As Associate Provost (Equity and Academic Policies), Professor Angela Campbell is responsible for academic policies and procedures, as well as the oversight of all equity matters, at McGill. In her role, she advises senior academic administrators on the application of University policies and regulations. She further supports strategic academic and recruitment plans and operations, and provides oversight of the academic life cycle from recruitment to retirement. In this connection Professor Campbell leads the nomination and allocation of Canada Research Chairs, James McGill Professors, and William Dawson Scholars. She serves as Chair of the Joint Board-Senate Committee on Equity (JBSCE), Chair of the Universal Access Capital Projects Working Group, and Vice-Chair the Academic Policy Committee (APC). Angela Campbell is a Professor in the Faculty of Law, specializing in Family, Health, Successions and Criminal Law. She has previously served as Associate Dean (Graduate Studies) and Director (Institute of Comparative Law) in the Law Faculty.